Home / gadget / home credit / loan / Home Credit can now process your loans within 10 minutes. 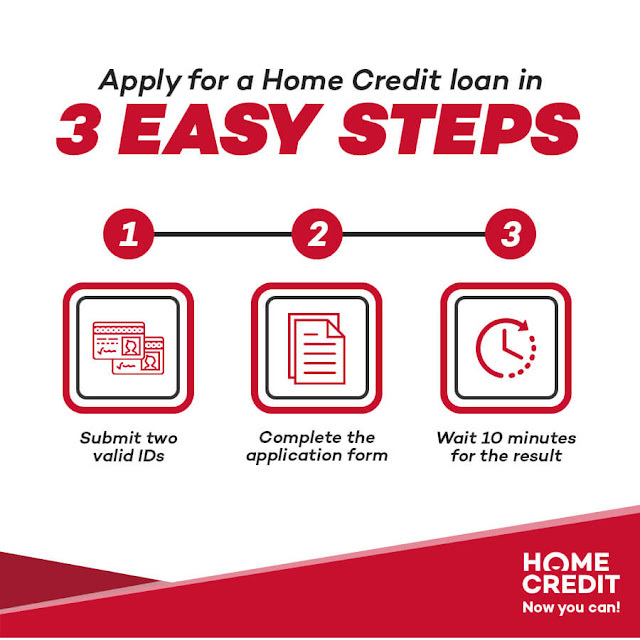 Home Credit can now process your loans within 10 minutes. Keeping true to its promise to continuously improve its services to the mass market, Home Credit Philippines has now made its loan processing faster more than ever. Instead of the usual average of twenty minutes of wait time, the Home Credit has now shortened the average processing time to a mere ten minutes. For some customers, the experience is even much faster, getting their loans approved almost instantly right inside the store. This latest development is one of the finance company’s responses to the growing customers of HCPH. Home Credit, which offers in-store financing to mobile gadgets and tablets, appliances, e-bikes, furniture, power tools, sporting goods, and other goods; is continuously eyeing other commodities and even services to finance to grow its product diversity. The loan provider now has close to three million customers, most of which are unbanked or are first-time borrowers. Chief Product and Marketing Officer Franchette Cardona says this improvement aims to make the process more seamless for its customers. Home Credit products cater to consumers that do not usually have access to financial services—simply put, those that do not have bank accounts or credit histories. To ensure their financial inclusion, the process of applying for a Home Credit loan is easy. Simply approach a Home Credit sales associate at any of their partner stores, complete the application form, submit two (2) valid IDs, and wait for the application result. 2017 is considered a landmark year for the company after it grew its customer base from one to two million in six months. This year, the in-store finance provider remains steady in surpassing its numbers, and is expected to reach the three million-customer mark very soon.